A new era has dawned upon us for Wilfrid Laurier University’s women’s hockey. 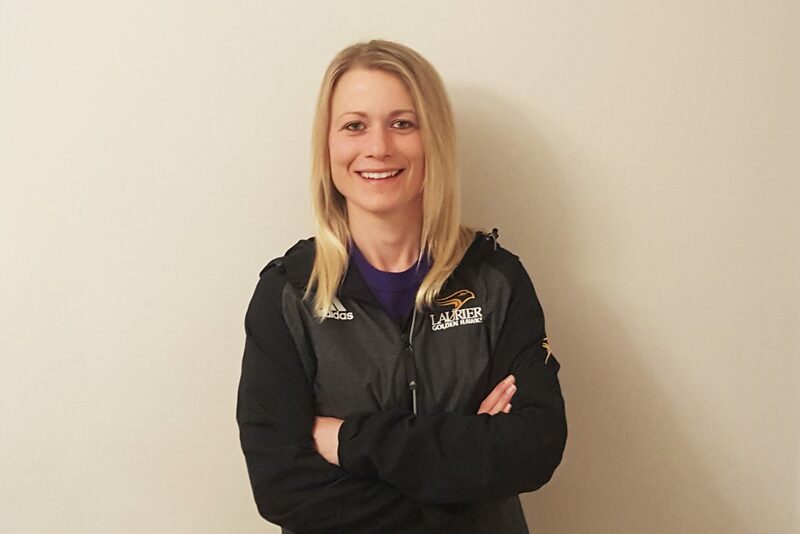 Kelly Paton will be the Golden Hawks’ new head coach and manager of women’s hockey operations taking over as the successor to Rick Osborne, who held the position for 15 years. Despite the struggles of the last two years, having finished last in the OUA both seasons, Paton will still have big shoes to fill considering the success Osborne had had in the 13 years prior to the last two. Osborne was a five-time OUA coach of the year in addition to winning nine OUA titles and one CIS title. Paton, regardless of this, is quite confident in her ability to bring Laurier women’s hockey back to its ways. “Early on as a coach, I’ve been able to have success with the teams that I’m leading. But I do think I’m continuing to grow as a coach as well. I like to think I’m pretty confident. I’m going to make some positive changes at Laurier that hopefully are going to lead to success both on and off the ice,” Paton said. Paton has reason to be confident as she comes in quite accomplished as a former player and coach. After a decorated career at the University of New Hampshire from 2006 to 2010, being a finalist for the Patty Kazmaier Memorial Award presented to the top Division I player in the nation, a first-team All-American, a Hockey East first team all-star along with winning New England player of the year and Hockey East co-player of the year, all in 2010. In terms of her U-Sports experience as a coach, she comes in having led the Western Mustangs the last two seasons putting together a 39-19 record, regular season and playoffs combined, in addition to winning the OUA title and taking silver in the U-Sports national title game. Her vision for this program long-term happens to be exactly what she has accomplished before. “We’re going to try and work back to achieving excellence and having success, like the years that they’ve had in the past. You know, working back to provincial championships so that once you can establish that, then moving forward and looking to try and compete nationally as well,” Paton stated. “It’s going to be a process over time that’s going to allow us to build back up to being where we want to be from a competitive standpoint but there’s going to be some shifts in culture and maybe just some of the principles around the game that the girls are really going to have to absorb and apply and learn early on so we can have positive change for next season,” she added. A new coach, especially one that’s had success, taking over a struggling program comes with expectations. One thing Paton knows; things don’t change overnight. “Well there’s a lot of unknowns right now. I think we have a great opportunity in the summer over the next three months to build relationships and for me building a staff that’s going to support me and my vision,” she said. While expectations might not be clear for the season as of yet, the expectations for the players is clear.